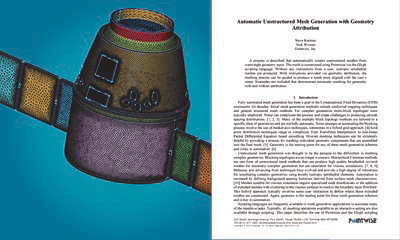 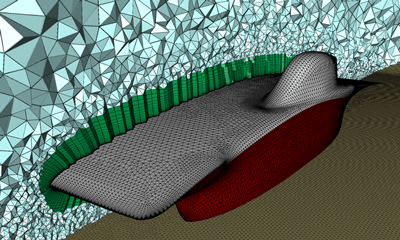 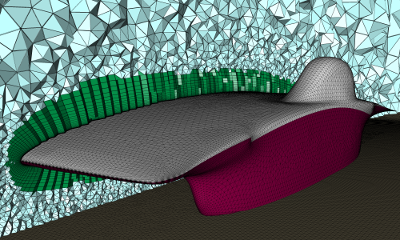 Download the technical paper presented at AIAA SciTech 2019 that describes a process that automatically creates unstructured meshes from water-tight geometry input using Glyph scripting. 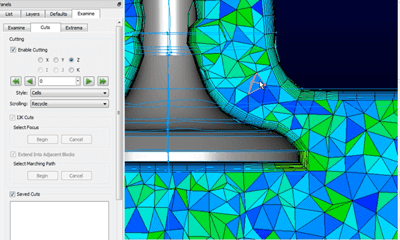 Utilizing this process, one can reduce meshing time by up to 90 percent and manual input from hours to minutes. 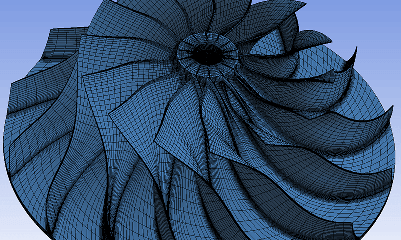 Watch a presentation given at the Pointwise User Group Meeting about how Pointwise used custom Glyph scripts to automatically generate high-quality unstructured meshes for Engineering Sketch Pad (ESP) geometries, saving time and freeing users from repetitive and tedious tasks. 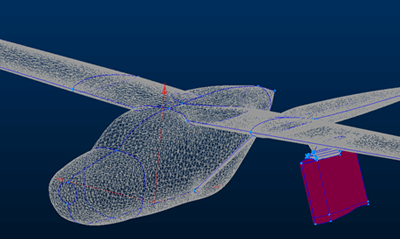 Read a case study on how Glyph scripts integrated with Pointwise can reduce meshing time from up to 15 hours to one or two, and time spent on manual input from 12 hours to a few minutes. 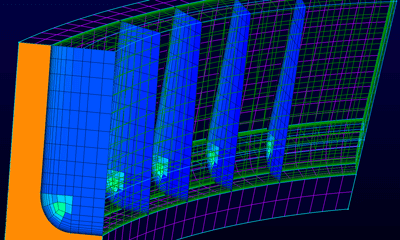 Automation also ensures a more consistent application of best practices for higher quality results. 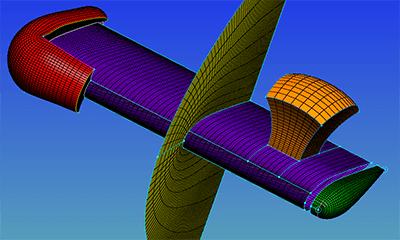 Learn strategies to quickly construct a high-quality viscous mesh for a model aircraft propeller. 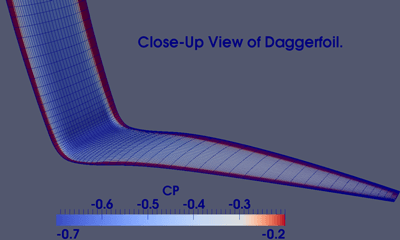 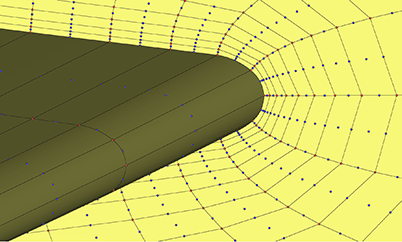 These strategies can be used to accurately capture relevant blade geometry as well as efficiently resolve the surface curvature and boundary layer. 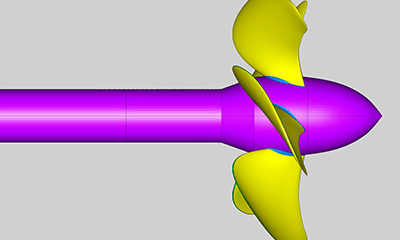 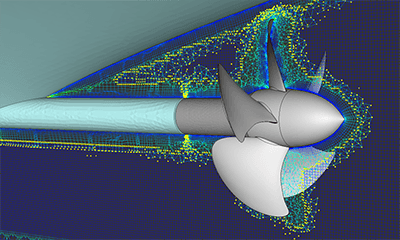 Read the case study, “Hybrid Meshing Key to Improving CFD Simulation Efficiency,” which summarizes how a T-Rex hybrid grid showed up to a seven-fold improvement in solution efficiency compared to other approaches in predicting thrust and torque for a marine propeller. 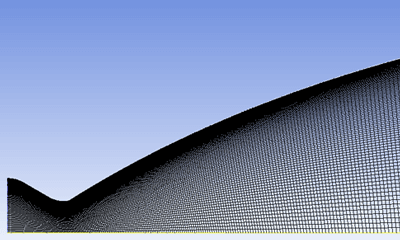 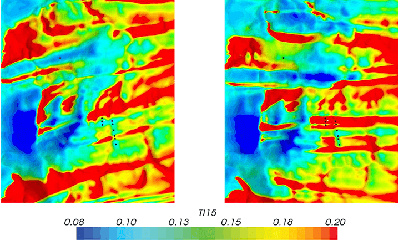 There are two primary challenges associated with the degree elevation of linear elements: boundary conformance and curving of high aspect ratio cells encountered within the boundary layer region. 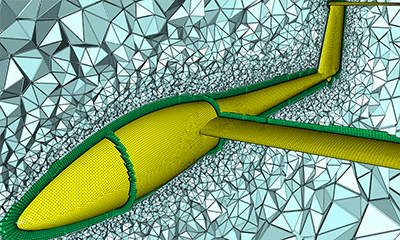 In this webinar, we address these challenges and show how to improve CFD solution accuracy by generating boundary conforming, high-order meshes. 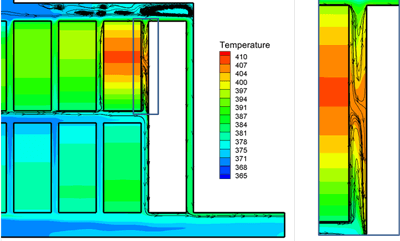 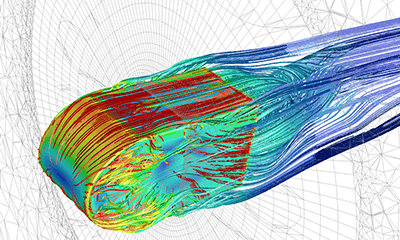 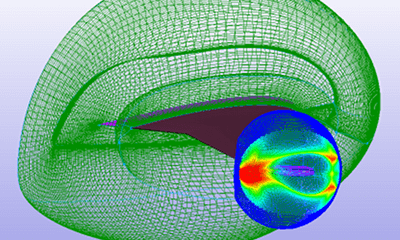 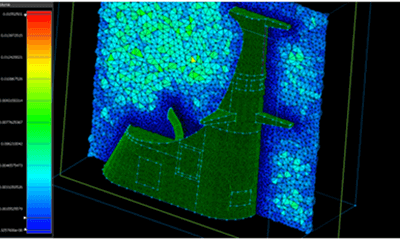 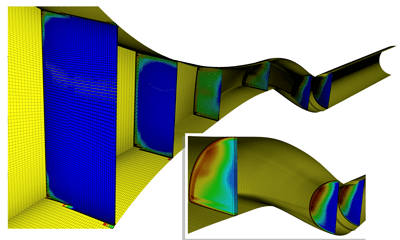 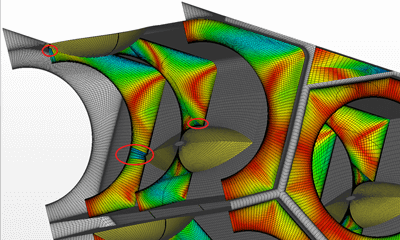 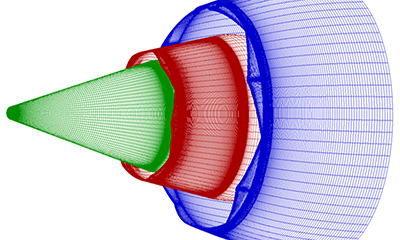 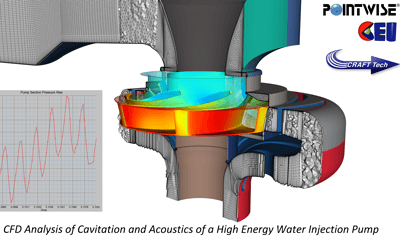 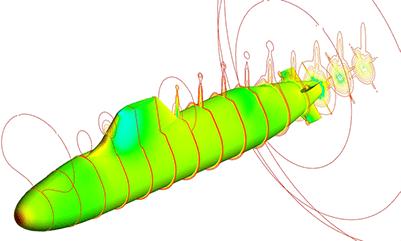 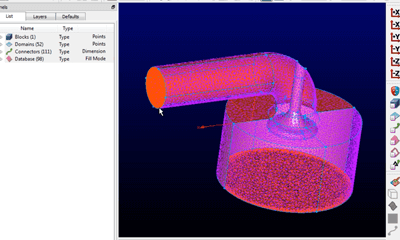 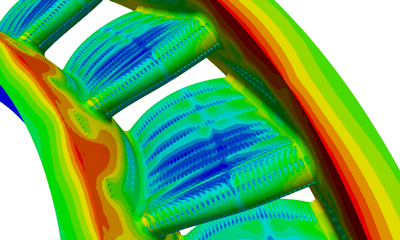 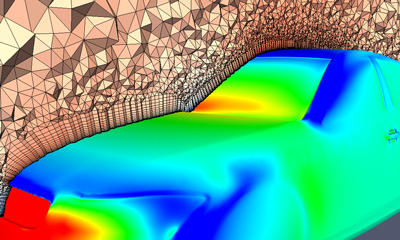 Learn how mesh adaptation can improve CFD solution accuracy. 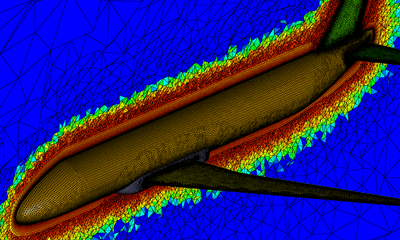 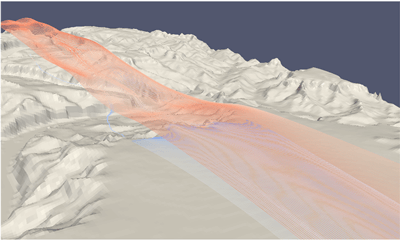 Mesh adaptation can automatically add finer mesh resolution in areas where it is needed by examining an error metric or flow gradients to determine where the existing mesh is not adequately resolving the flow. 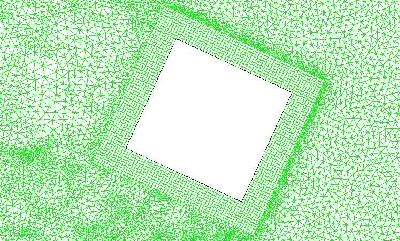 One of the most frequent requests that Pointwise receives is to add native import and export capability for a grid file format. 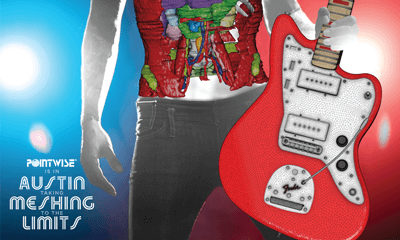 Unfortunately, there are not enough hours in the workday to fulfill all of these requests. 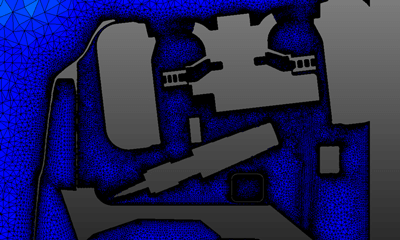 For that reason, a plugin capability has been made available so you can easily write your own importer or exporter. 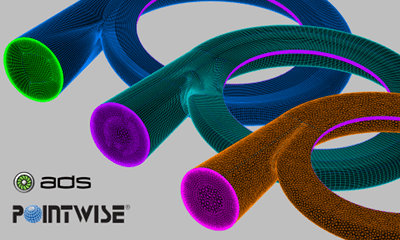 This webinar covering newly released features is your guide to the latest offerings in Pointwise. 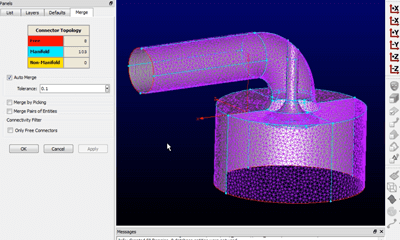 This quick overview demonstrates the new features so that you will know how to use and where to quickly find these features. 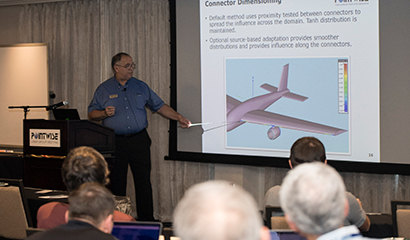 The 1st AIAA Geometry and Mesh Generation Workshop was held in Denver, Colorado on 3-4 June 2017 prior to the AIAA Aviation Forum. 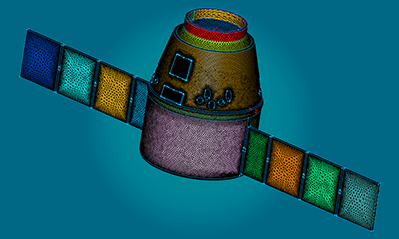 The goals of this new workshop were threefold: to assess the current state-of-the-art in geometry preprocessing and mesh generation as applied to aircraft and spacecraft systems, to identify areas of needed improvement, and to develop a foundation for development of best practices. 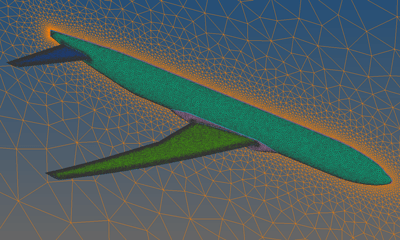 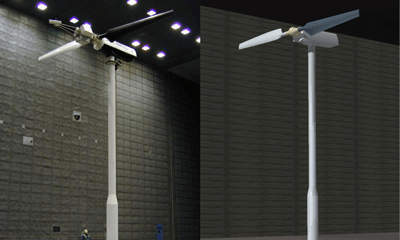 In particular, the NASA High Lift Common Research Model Wing-Body was meshed and the meshing process document by workshop participants. 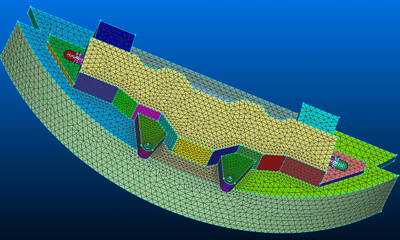 In this webcast, we use a diffusing serpentine inlet to demonstrate some of the more advanced structured meshing techniques available in Pointwise. 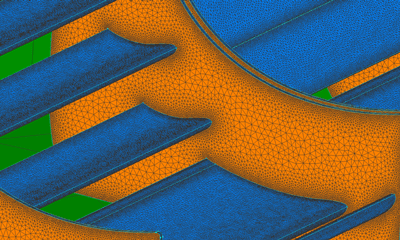 These meshing strategies highlight how Pointwise users can generate uniform, boundary-layer resolved grids with exceptional cell shape quality where the inlet’s shape transitions from something with a square cross-section upstream to a circular shape at the exit. 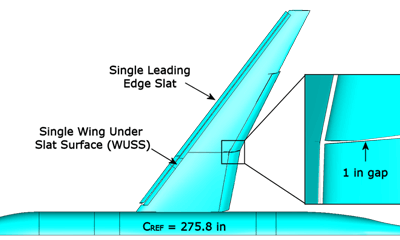 When surfing 80-100 foot tall waves, a surfer can reach speeds as high as 50 mph. 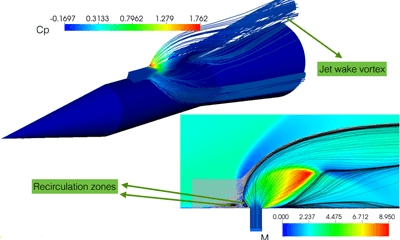 Optimization of the surfboard’s aerodynamics can contribute to stability and safety. 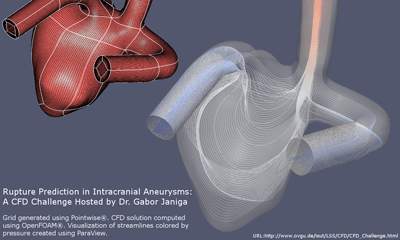 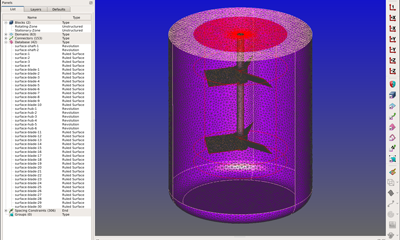 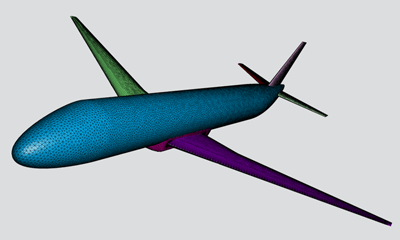 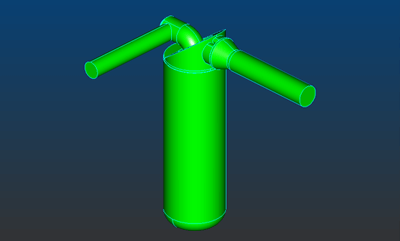 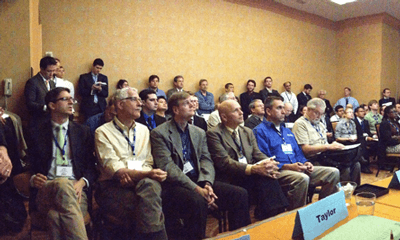 A CFD framework featuring Pointwise’s automated meshing allowed 100 designs to be explored. 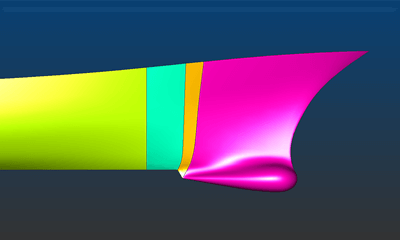 In this webinar, we will examine the tools and the framework that allowed over 100 surfboard designs to be explored, resulting in a higher speed, lower drag big wave surfboard design. 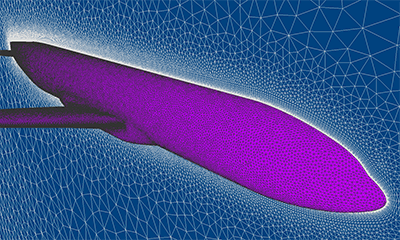 In this video, we demonstrate how to configure the Glyph Server in Pointwise and add support for scripting languages including Python. 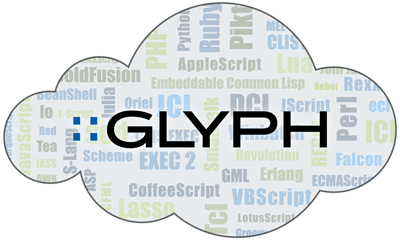 We will also introduce example Python scripts that highlight the utility and value of these new Glyph features. 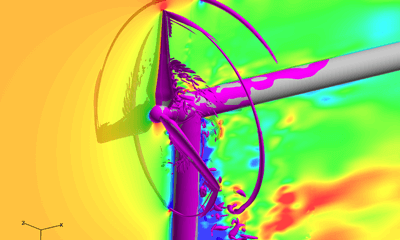 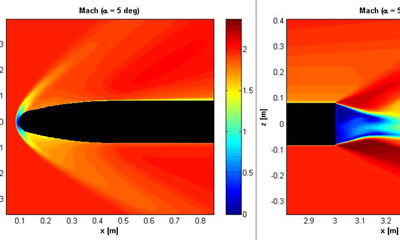 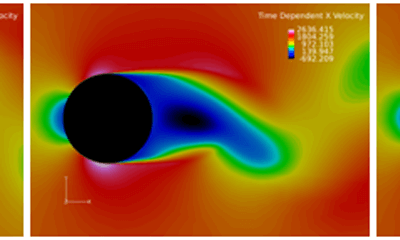 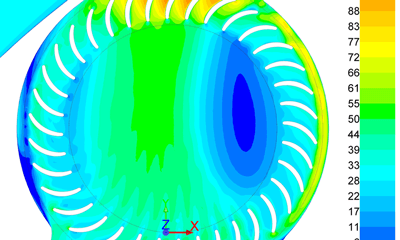 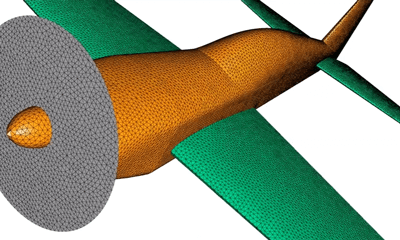 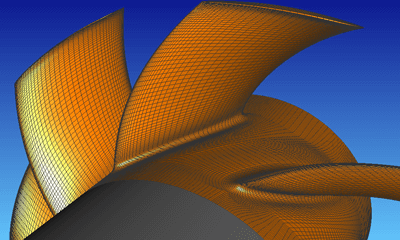 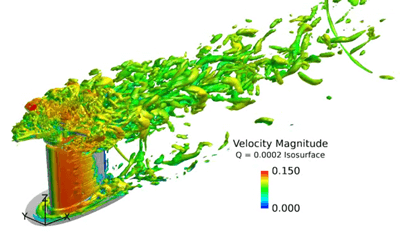 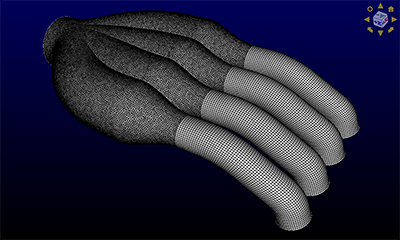 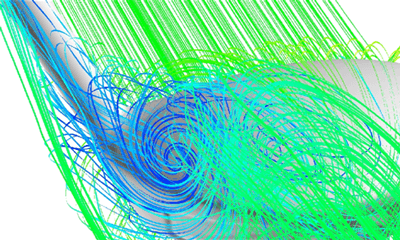 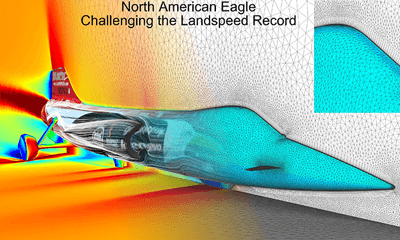 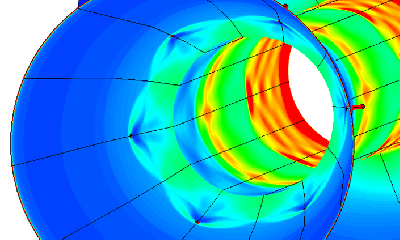 Researchers at Pennsylvania State University’s Applied Research Laboratory share an overview of their ongoing work involving overset grid CFD simulations of an incompressible rotorcraft hub they performed using the overset meshing tools available in Pointwise. 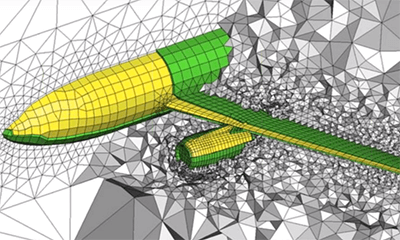 This video provides an overview of Pointwise’s suite of tools for creating a meshing-ready geometry model. 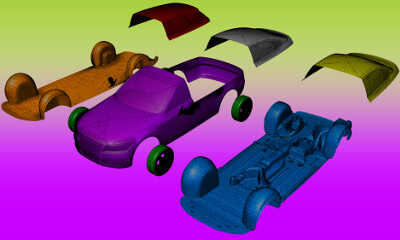 Included are geometry model import, tolerance verification and setting, techniques for healing gaps between surfaces, recreating missing geometry, and more. 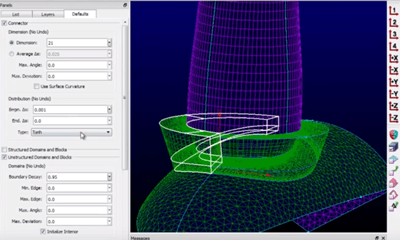 This video demonstrates the flexibility you will gain from Pointwise’s ability to limit remeshing to regions where geometry changes during your design cycle. 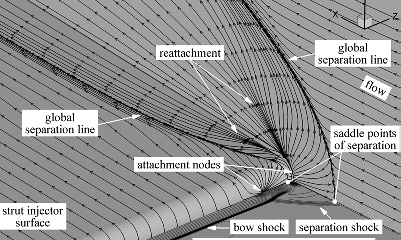 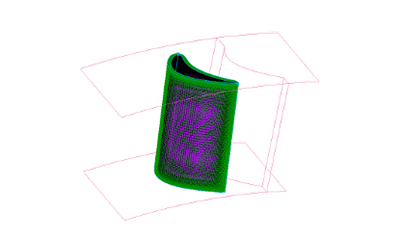 Included are techniques for remeshing on geometry model import, merging adjacent meshes, and more. 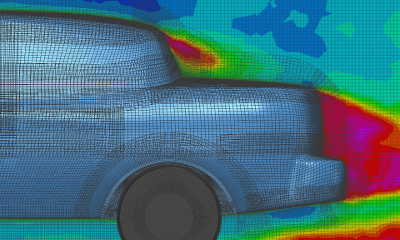 The Stanford Solar Car Project team developed a repeatable, simulation driven design framework consisting of Pointwise for rapid hybrid grid generation, SU2 to run the CFD simulations, and Tecplot 360 EX to post-process and interpret the results. 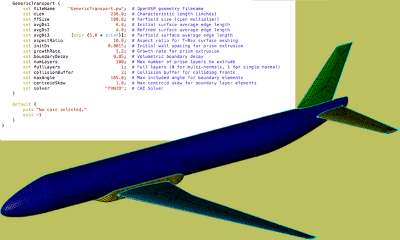 By watching this video, you will uncover the power of Pointwise’s Glyph scripting language. 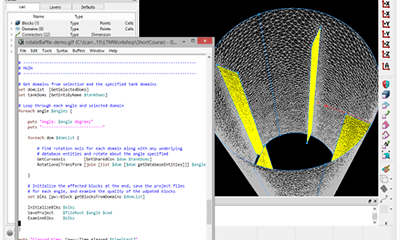 We will introduce the language’s syntax, share our best practices, and provide reference materials. 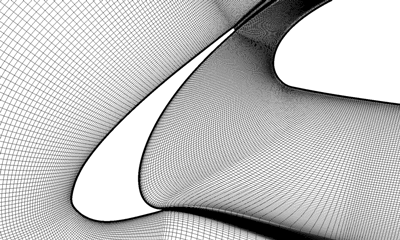 The entire process will be demonstrated as we write a script. 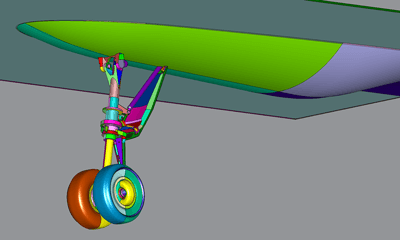 The University of South Florida's Formula SAE racing team, USF Racing, placed 6th overall out of more than 80 teams competing at the Formula SAE competition in Lincoln, Nebraska in June 2015. 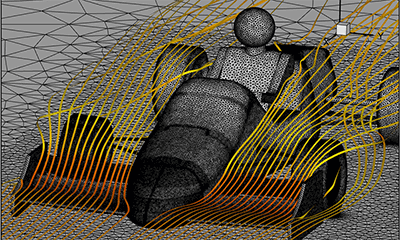 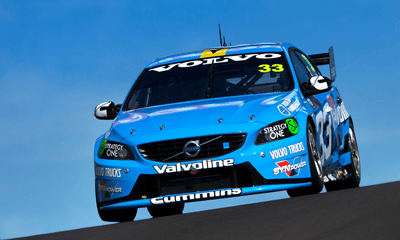 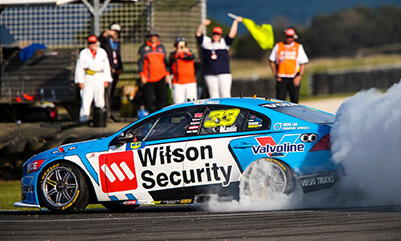 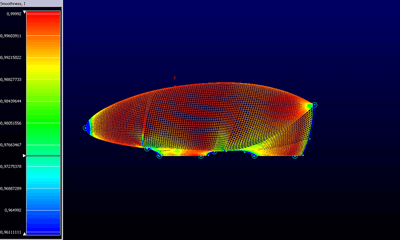 Using Pointwise helped the team to have a successful season. 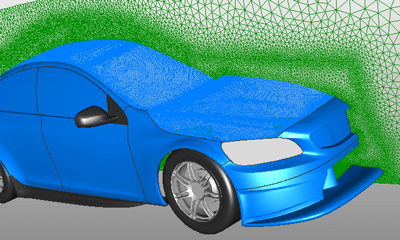 Pointwise's Glyph scripting allowed for multiple simulations providing good performance estimations for their vehicle's aerodynamic package. 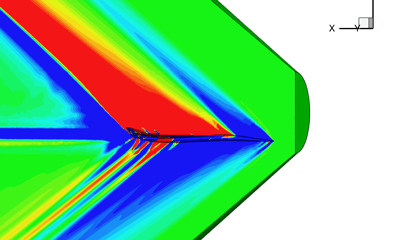 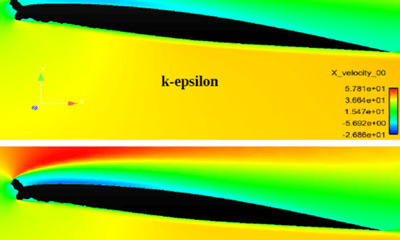 Grid Extrusions & Boundary Conditions: What's New? 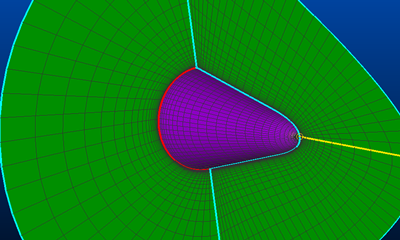 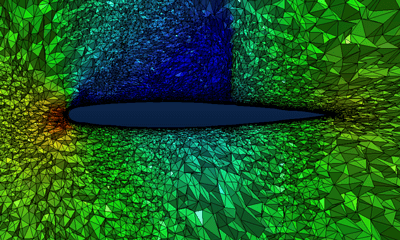 The latest Pointwise release has several new features. 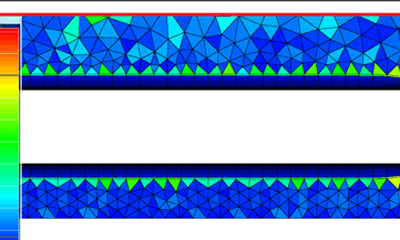 Among these are updates to extrusions and extrusion boundary conditions. 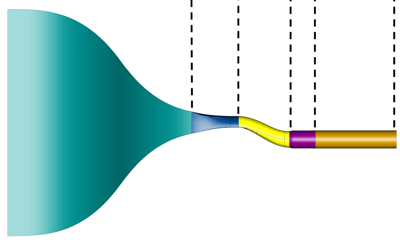 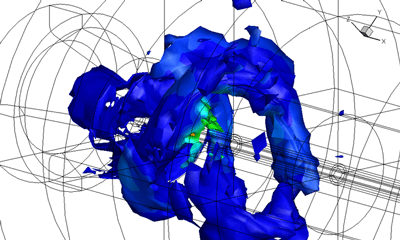 The boundary conditions, in particular, are now more similar to NASA's HYPGEN code. 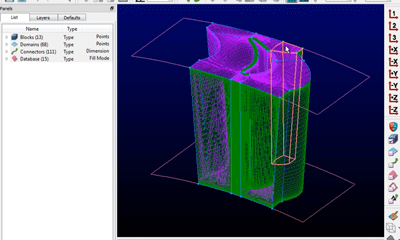 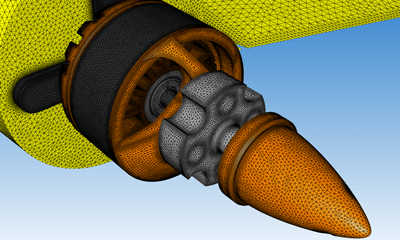 Your mesh and its boundary conditions can be exported to a file format of your design with a CAE Export Plugin. 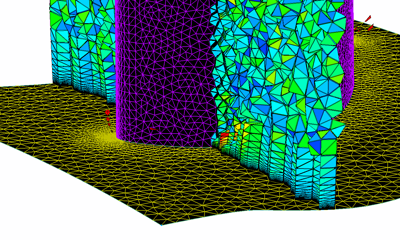 This webinar provides an overview of how to write your own plugin using Pointwise’s application programming interface (API). 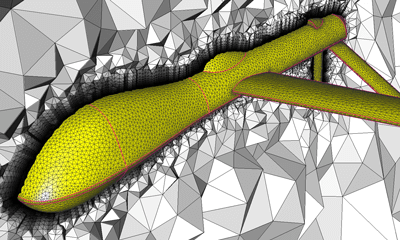 This webinar shows how TotalSim used structured, unstructured, and hybrid mesh techniques in Pointwise to reduce their overall cell count and improve grid quality. 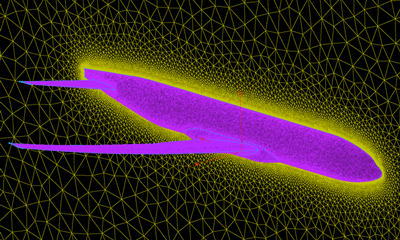 They also exploited Pointwise’s flexibility to manually adapt the grid. 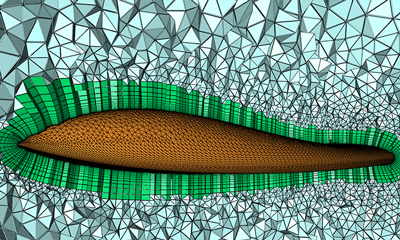 In this video, we present a basic introduction to scripting in Pointwise and lay the framework for customization of the meshing process through scripts. 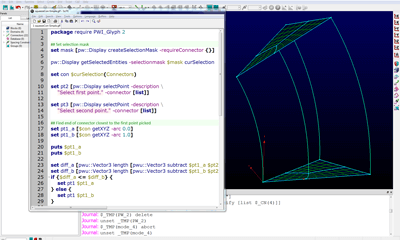 Scripting in Pointwise is accomplished with Glyph, an extension of Tcl. 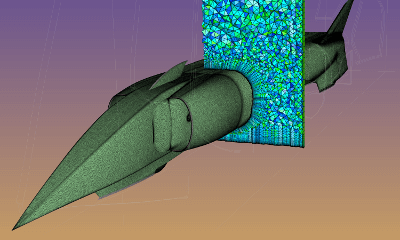 John Chawner, president of Pointwise, will discuss the current state of computational fluid dynamics (CFD) during an ENGINEERING.com webinar on 16 September. 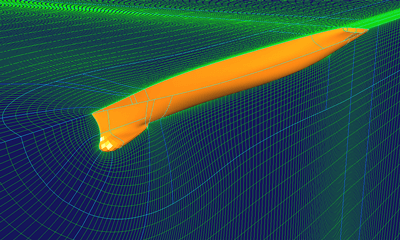 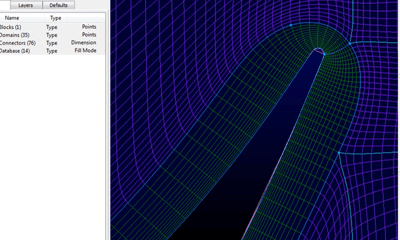 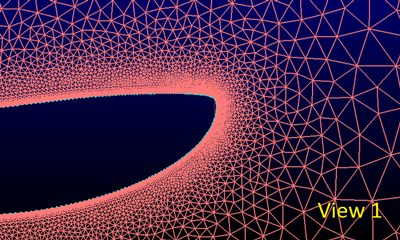 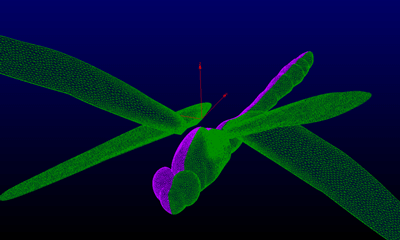 Pointwise V17.1 R4 introduced several new capabilities. 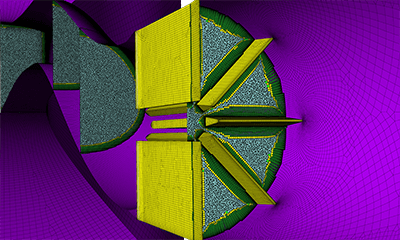 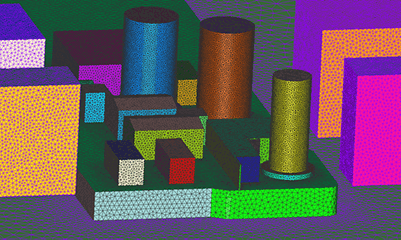 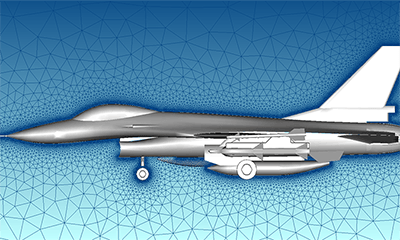 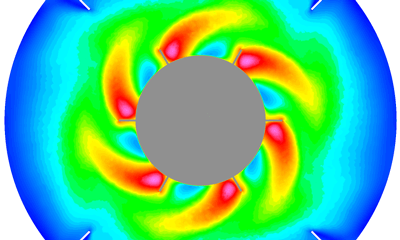 In this webinar, we will demonstrate features such as the CAE solver additions, the capability to easily delete multiple control points at once from a connector, a new block elliptic solver boundary condition, and many more. 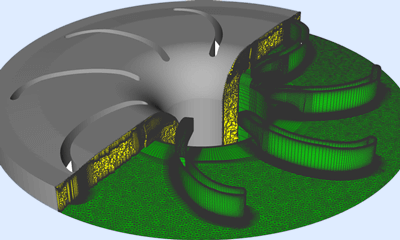 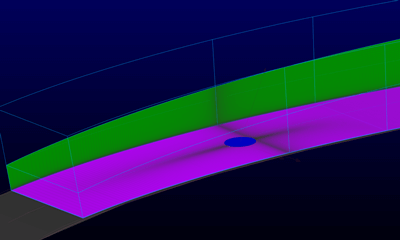 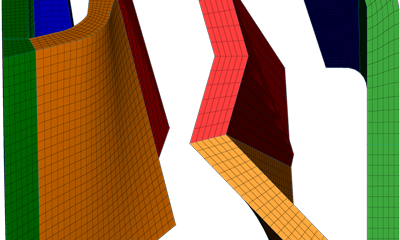 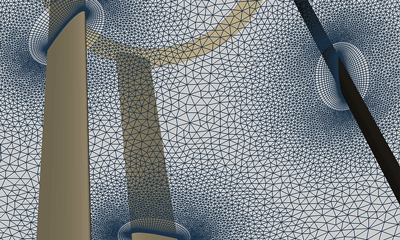 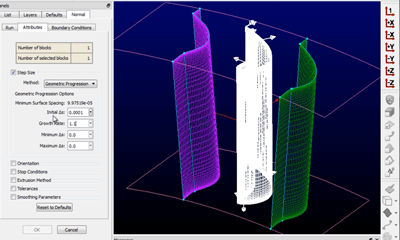 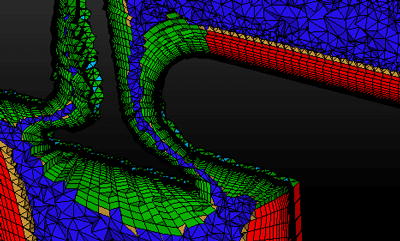 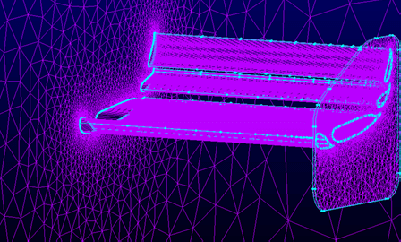 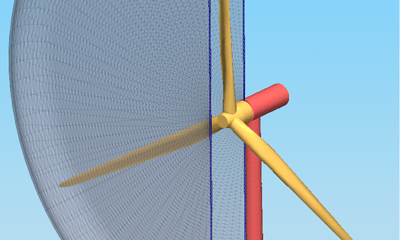 Learn about the features added in Pointwise Version 17.1. 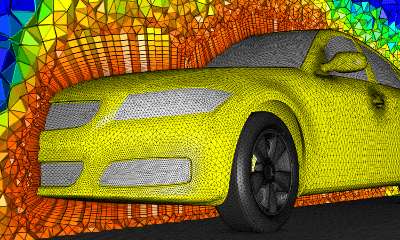 From new CAE solver functionality to an advancing front algorithm for unstructured surface meshes, Pointwise V17.1's capabilities help you generate the mesh you need. 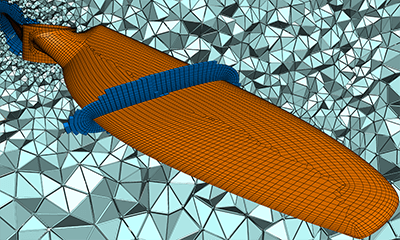 If you have not used Pointwise before, this webinar will familiarize you with Pointwise's meshing terminology, the user interface, and the general meshing process. 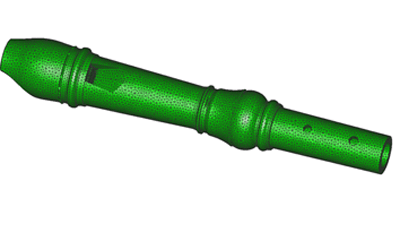 We will even point you to where you can get more information and training materials. 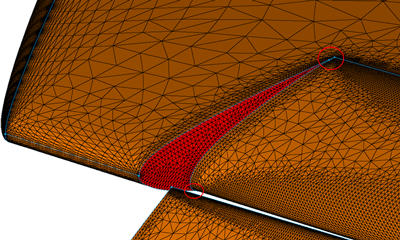 Pointwise's fault tolerant meshing heals the mesh over gaps and overlaps in the CAD geometry so you can proceed without having to get bogged down in CAD repair. 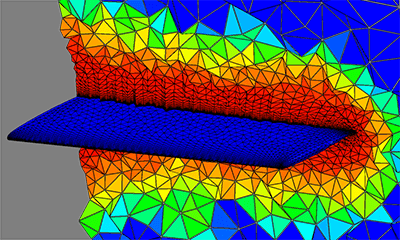 Once your mesh is complete, you can use Pointwise to customize it for your flow solver including boundary and volume conditions. 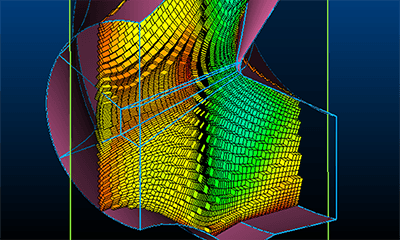 The topology requirements of structured grids present many challenges that have to be overcome. 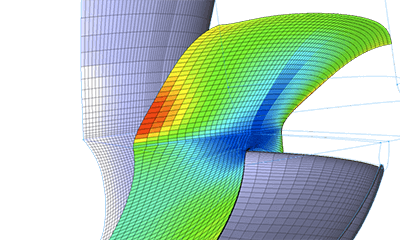 We describe the more common challenges, how to avoid them, and how to resolve them when they arise. 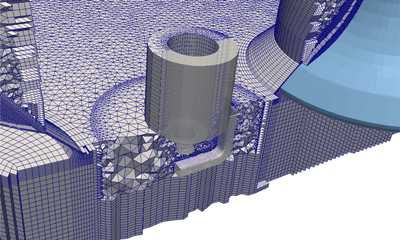 Meshing presents a myriad of challenges from geometry modeling through mesh export to the flow solver. 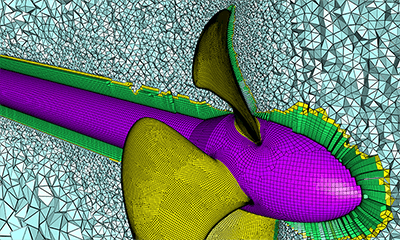 This webinar shares essential tips for avoiding and resolving common problems. 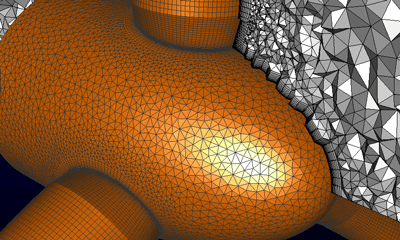 After just a few hands-on tutorial sessions, engineering seniors and graduate students at West Virginia University (WVU) were able to generate a variety of grids using Pointwise, learning how mesh topology, dimensionality, and resolution affect solution accuracy for a variety of internal and external flow problems. 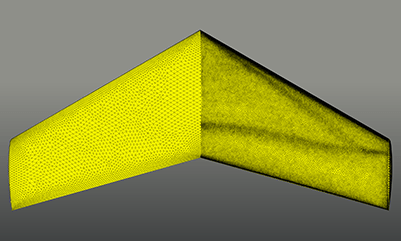 3D anisotropic tetrahedral extrusion (otherwise known as T-Rex) will be released soon, but the 2D surface mesh formulation of T-Rex already is available for you to use in Pointwise V16.04. 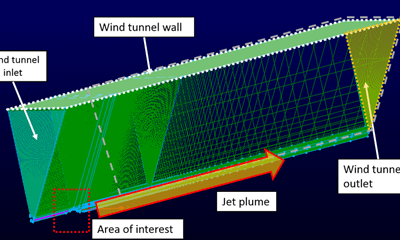 The risk that tsunamis pose to coastal structures is not just from the wave impact, but also from the impact of debris that is carried by the fluid flow. 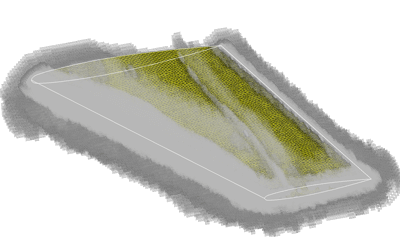 Shipping containers are ubiquitous in coastal locations and represent a realistic debris object. 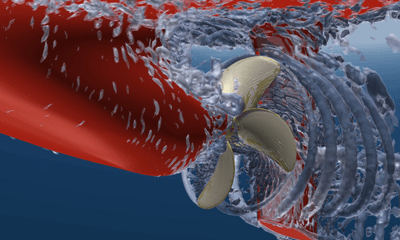 Engineers from W.R. Davis Limited and Pointwise, Inc. collaborated on a project to couple the ShipIR thermal analysis software with ANSYS Fluent® computational fluid dynamics (CFD) software for more accurate prediction of infrared signatures of naval vessels. 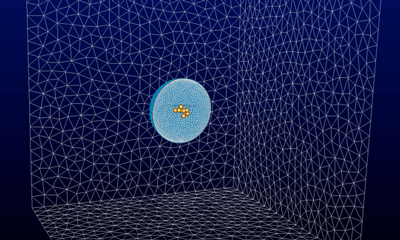 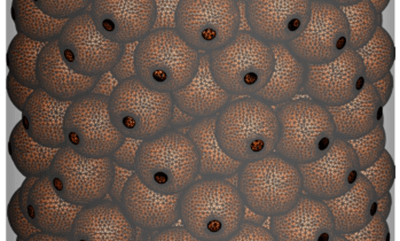 At Oregon State University, researchers in the Computational Flow Physics Lab (CFPL) are using large scale, high resolution simulations to better understand flow through complex porous media.